Bake cornbread as directed on box, and reserve for later. Preheat oven to 350°F. Spray a casserole dish with cooking spray, and set aside. 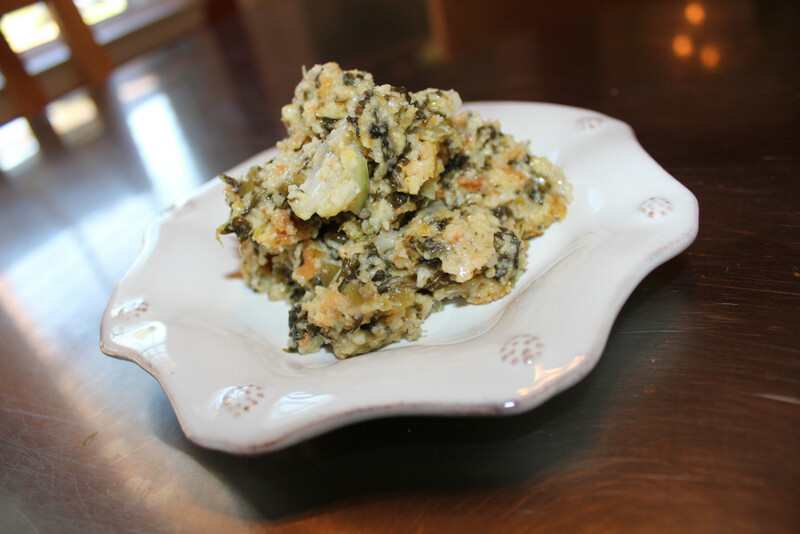 In a large bowl, combine Margaret Holmes Turnip Greens, mushroom soup, butter, and onion. Add pepper sauce, if desired. Crumble baked cornbread into mixture and mix well with large spoon. Pour mixture into dish. Sprinkle lightly with Parmesan cheese. Bake for 30 minutes, or until set.